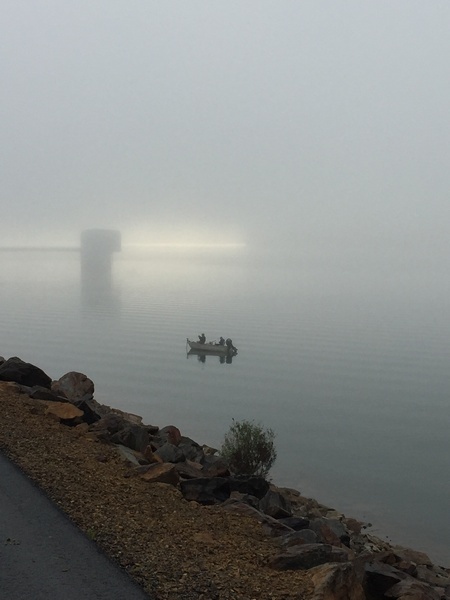 The fog at the dam this week is beautiful. We can feel fall in the air and are wearing extra shirts. It takes me about 3,500 steps to complete this walk. Mostly it is in silence. Lee takes in the view and I think things through. I get ideas in the repetitive movement of putting one foot in front of the other. One thing I think about is a class coming up that I have to teach called, “Books That Are All About The Stitch”. There is pleasure in threading a needle and piercing cloth and/or paper. 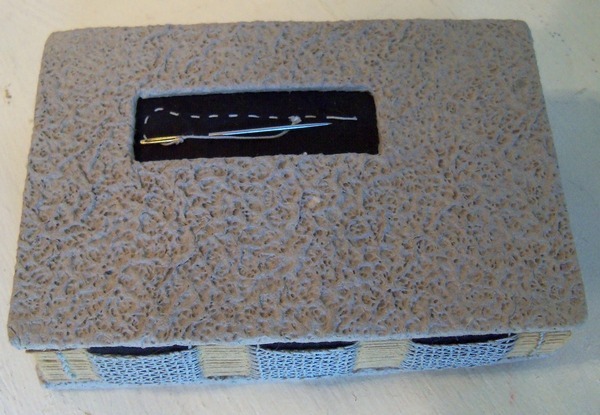 And so many ways to enhance stitched bindings. It seemed like a good idea for a class last year, so I put it on paper and now am faced with having to get it ready by early November. This week I am working on new books using the stitch as a main feature. Here is a small one on a quilt being put together one patch at a time. I like the simplicity of this. 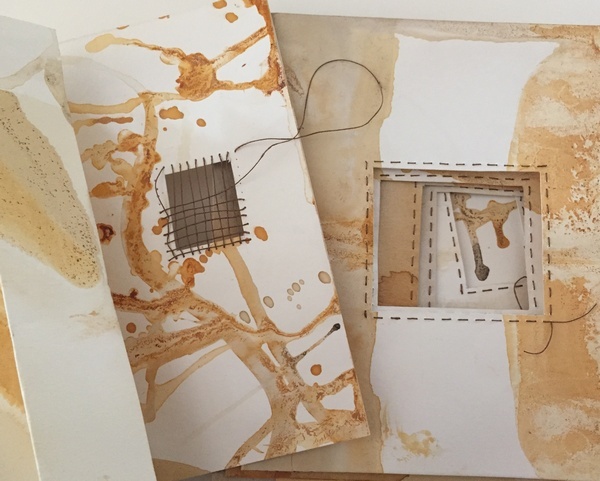 And the pages being worked up for another type of stitching and “thready” binding. I have pulled out earlier books using threads and stitching as the “story”. 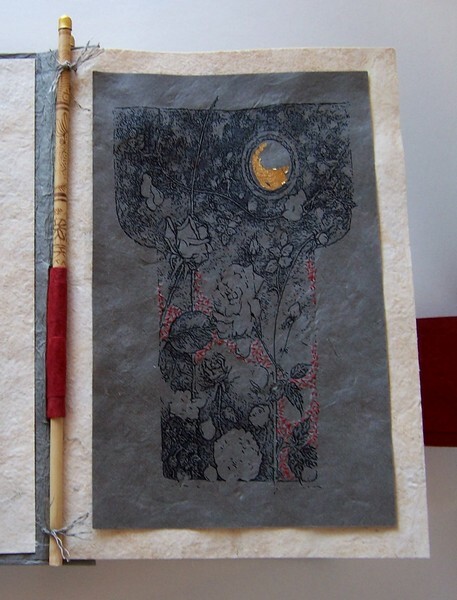 The Mending Book that I sent to Sandra Brownlee after she had the most perfect response when holding it. I love the darning on the spine. 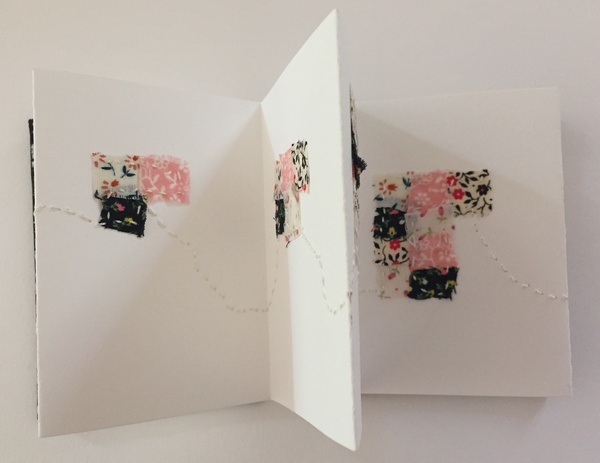 And stitching into reproduced drawings and then mounting them onto a page like my Kimono Book. 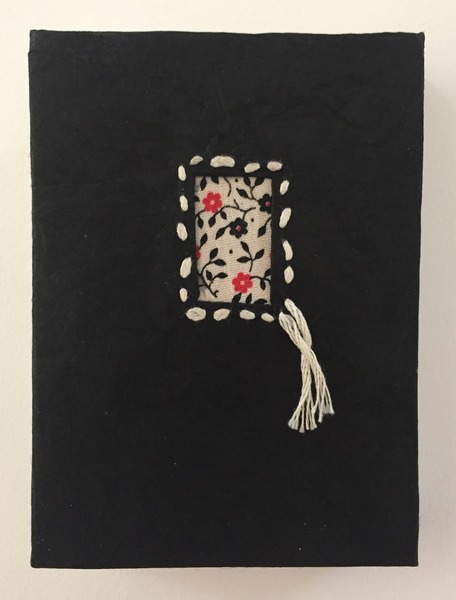 And this one, “My Book of Days” all stitched cloth with bits of paper worked in. Anyway they are places to start and more will be added by the end of the month. 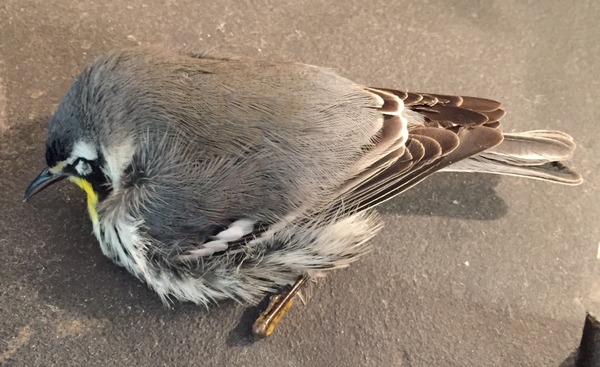 The other day Lee brought me a dead bird. I used to draw them as soon as he gave them to me but this time I just took pictures to work from. This weekend I will sit down and paint him carefully in watercolors to honor his beauty and life lost on my studio window. He is a yellow-throated warbler. Lee gave him a proper burial. A very pretty little bird that we never get a glimpse of in the wild. Tomorrow is Lee’s birthday….eighty-one. We are going out to dinner with friends tonight and celebrate. Tomorrow we will go out to lunch and celebrate again. A friend mentioned this week that if I was seeking balance maybe I should turn off the news. I don’t think I can do that. How can I continue to write my congressmen about what needs to be done if I am not paying attention to how much they are not doing? Too many people in our country turned off and tuned out in 2016 and left us with the mess we have now. So balance or no, I will stay as involved as I can be at this stage of our lives. 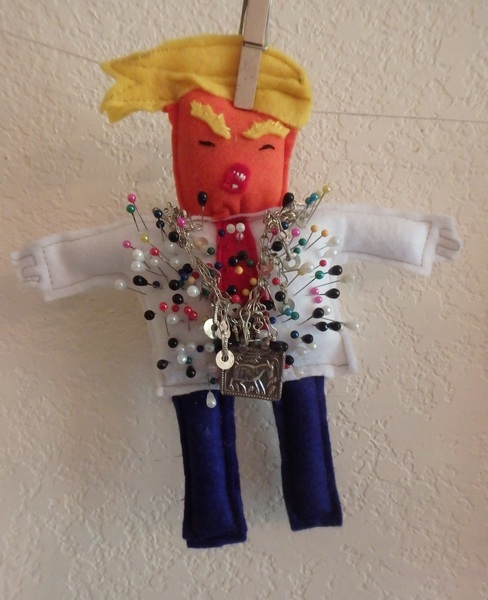 But it has been a particularly tough week for witnessing the loss of civility…..More pins are a good idea. I am going back to the threading of needles and setting up my watercolors.